Financial literacy events tend to be boring and preachy, as speaker after speaker aim to persuade us to scrimp, save and start investing for our future. 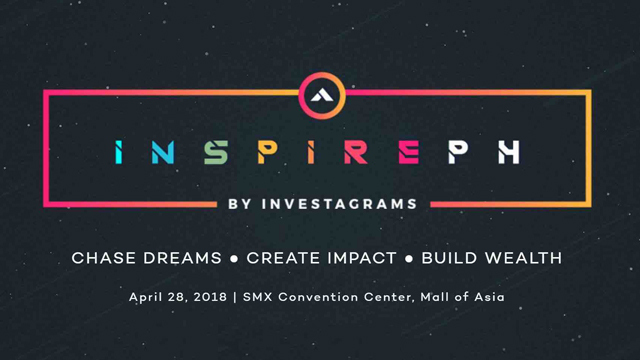 Investagrams’ Inspire PH, which is happening on Saturday, April 28 at the SMX Convention Center in Pasay City, promises to be different. How different? For one, a key speaker is Ronald Robins, the CEO and founder of Mineski International, one of the country’s biggest e-gaming café chains that has a total of over 10,000 seats in 130 branches nationwide. How many financial literacy seminars invite as main speaker somebody who used to play multiplayer online battle arena games four to eight hours a day while still a student? At the Inspire PH event, he’ll talk about turning his passion for gaming into a business empire. Apart from Robins, other young startup founders are also speaking at the event such as Ruel Amparo, the CEO and co-founder of Cropital, the crowdfunding platform that made farming cool again for today’s generation millennial investors. Young and successful stock market traders who have been trading since they were in college are also sharing tips and their experiences at the event. These include Rafael Roces of Tower Securities who will talk about how he conquered the stock market while in school. Of course, JC Bisnar, one of the three co-founders of Investagrams, who has also been investing since he was a student, will speak on the biggest trades of our lives. With many stock market investors and traders turning to Bitcoins and other cryptocurrencies as another asset class, Inspire PH also includes a panel on virtual currencies. 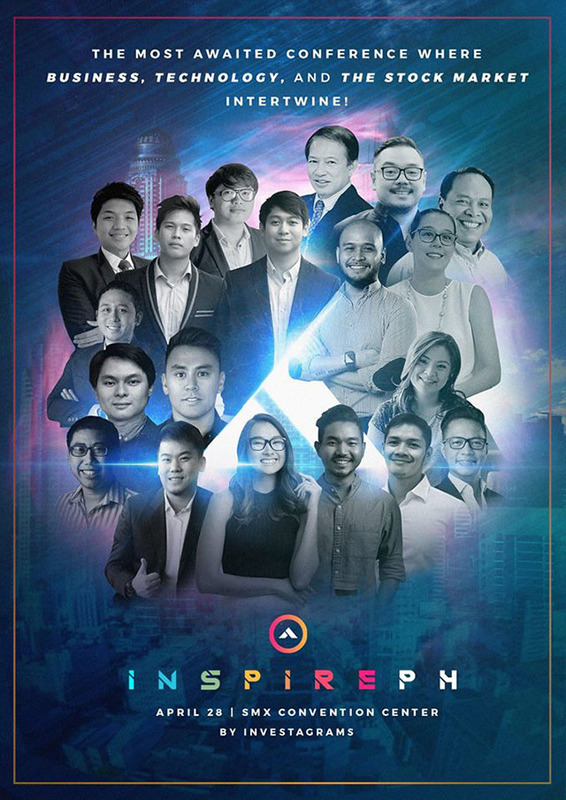 The speakers are co-founders of no less than some of the pioneering Bitcoin and blockhain startups in the Philippines including Coins.ph, Satoshi Citadel Industries and Qwikwire. “Expect to go behind the scenes of the journeys taken by today’s industry leaders, to learn from the best who continue to create huge value and impact, and finally, to expand your network with people who can help you grow and take action,” wrote Investagrams in the official Inspire PH event page on Facebook. That’s in line with the overall mission of Investagrams to increase financial literacy among Filipinos. To date, it has grown its online platform to over 200,000 clients who use the startup’s tools to educate and familiarize themselves with the local stock market and the different concepts linked to investing and stock trading. Interested attendees can find out more about the event and purchase tickets through the official Inspire PH website. Entrepreneur Philippines is a media partner at the event.